Did you know that today, April 10th, is the 100th day of the year? So think of the distance between your New Years Celebration and now… and that’s how long you have to wait until the new Lion King movie comes out! 100 more days: July 19th. Now The Lion King (the animated version) was one of my VERY favorite movies as a kid. I remember watching it once, reciting literally every line for the first 10 minutes with my parents in the room, looking shocked… probably because they were wondering how could my 7 year old brain retail that many lines, but couldn’t remember to pick up my room, but I digress. 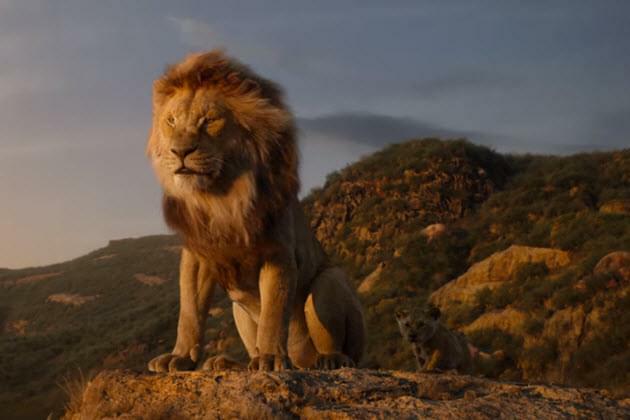 A lot of the scenes in this trailer look scene-for-scene what the animated version looked like… in fact, it made me go back and watch the original movie trailer… aaaaand now I want to go watch the Lion King ASAP… WHERE IS DISNEY PLUS ALREADY??? And because I had the urge to watch the original trailer after seeing the new one, here you go!